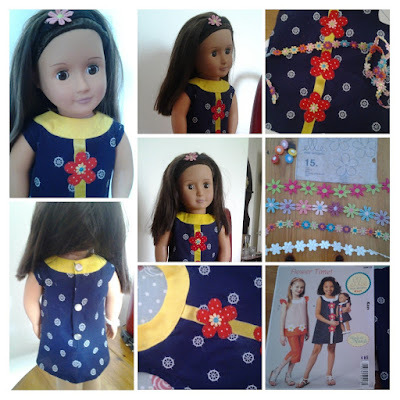 The pattern is fresh and modern and includes some very easy to do applique flowers on both the girls and the dolls dresses. The largest size for the dress is to fit age 10, and it takes 1m of 152cm wide fabric in the main colour plus 1/2 m of contrast. 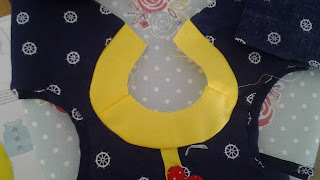 Plus you will need scraps of fabric for the appliques. The dolls dress takes 1/2 metre of fabric in the main colour plus 1/2m in the contrast, plus scraps for applique. 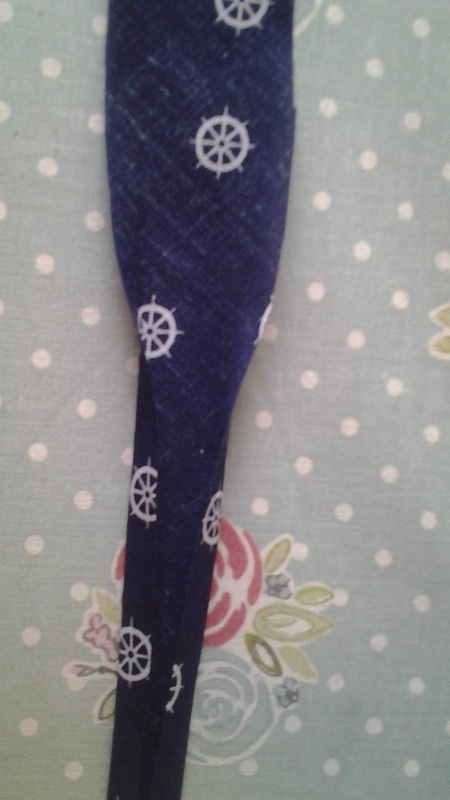 For fabrics that are of fantastic quality go to Threadheadfabrics.co.uk Threadheadfabrics.co.uk and look at the fabulous designs she sells. I am not going to tell you what colours to use, that is purely personal, you can use prints, striped or spotted for the main fabric with iether a plain cotton or a subtle print for the contrast. 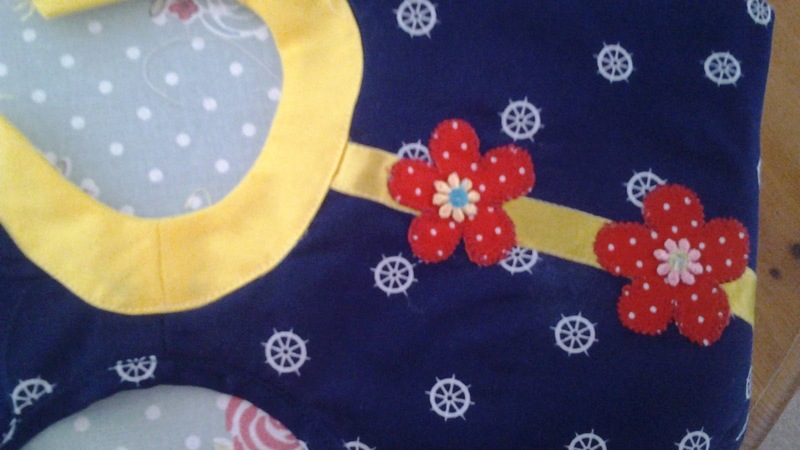 That is the wonderful thing about sewing, each garment is tailored to your exact requirements. After you have pre-shrunk and ironed your fabric take the pattern out of the envalope and run through the instructions before you do anything else.I love the "technical stuff to read for optimum sucess" section which I do urge you to take time to readnot. 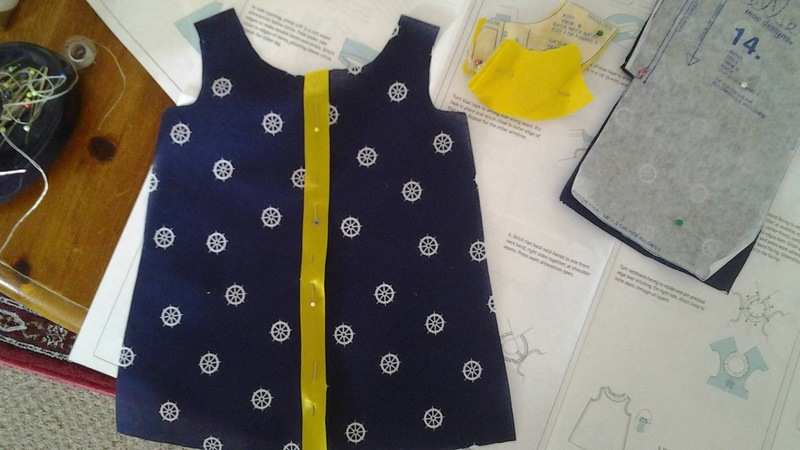 It tells you how to choose the correct pattern size and which pattern pieces you need for each design. 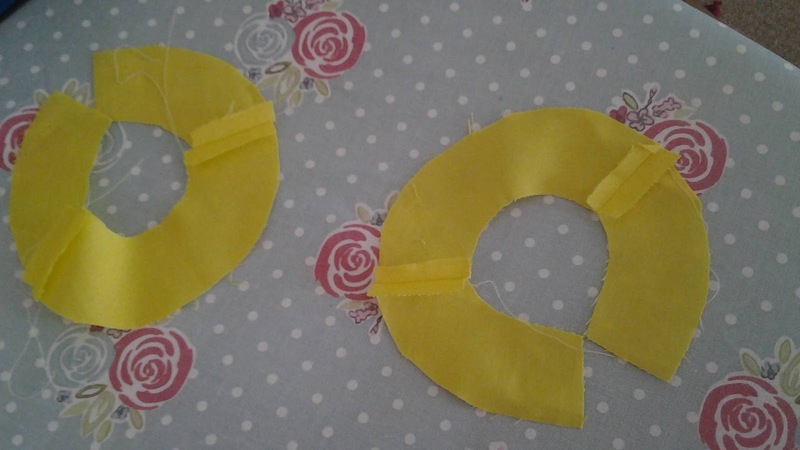 It also gives cutting layouts which is important if you are to fit all the pattern pieces on to your fabric the right way up with no wastage! 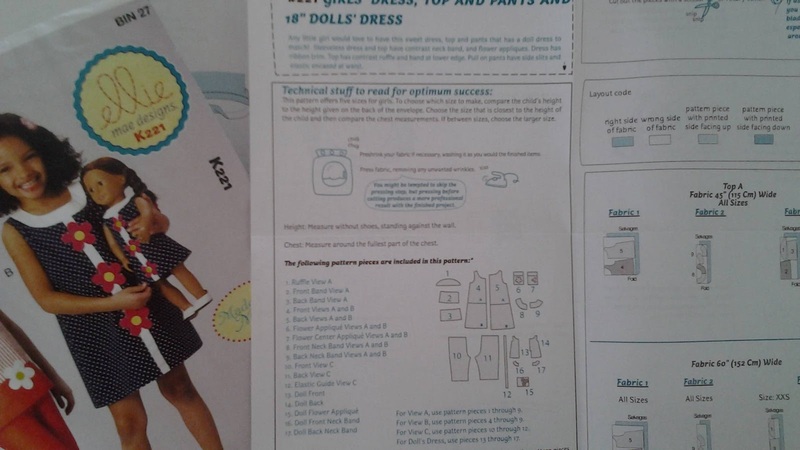 The pattern instructions are virtually the same for the girls and the dolls dress, so I am just going to help your young lady to make her dolls dress. Dont forget that if she does not have a sewing machine my earlier blog post How to read a pattern and how to Hand sew will be really helpful as it shows how to execute some basic hand stitches. 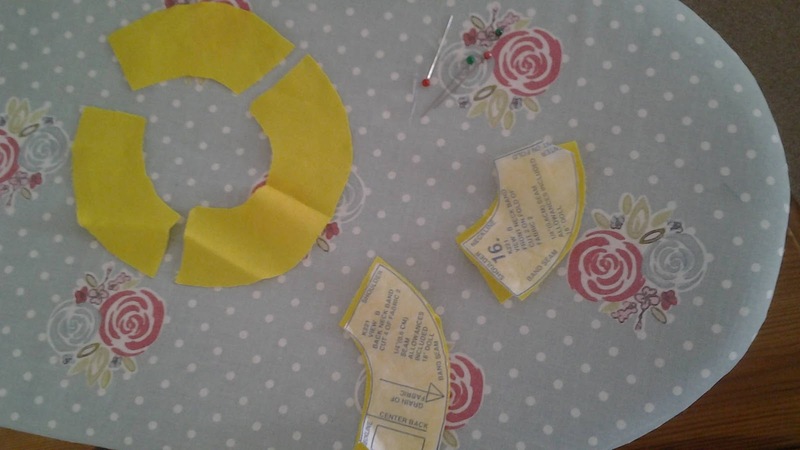 So, after you have cut out your fabric, using the pattern instructions to guide you,stitch a length of ribbon to match your contrast fabric down the centre front of the dress. To make the applique flowers take a small piece of a fabric which contrasts with your other fabrics and iron some lightweight fusible interfacing to the back of it. 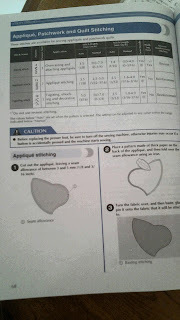 Then cut out your three flower shapes carefully. 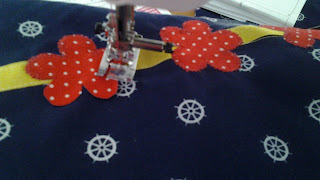 Applique is easy and fun to do so please don't be daunted by it. If you really honestly don't feel ready for it yet then you can purchase Guipure lace trim which you can either snip individual flowers off or even run a length of it all the way down the centre of your ribbon trim. You can also purchase flower shaped buttons. Inside your great value sewing box from jaycotts.co.uk Sewing box and contents you will find some fusible hemming web. Measure the position of each flower, and take a tiny amount of fusible web, place it on the spot where the centre of the flower is to be placed and press it on carefully with a hot iron. You may need help here. This will make it easier to sew the applique in place without it moving around. I have measured where I want the applique flowers to go and i hae ironed them in place. 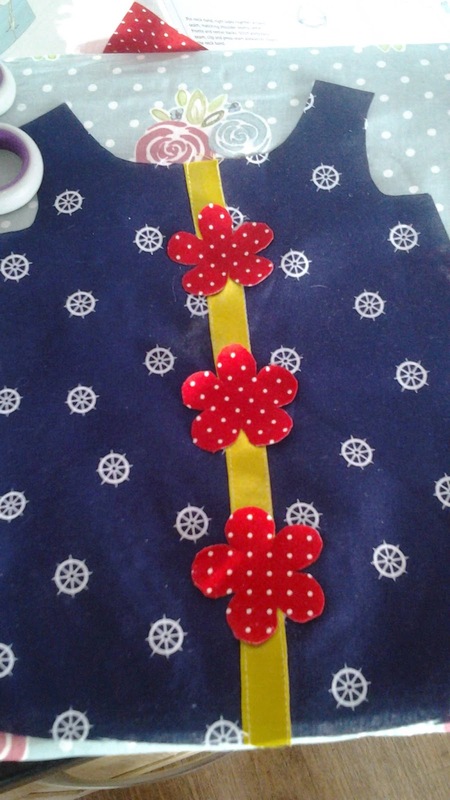 Please make sure that you use only a tiny piece of fusible hemming and that it does not extend beyond the flower itself or it will stick to your iron and could spoil your fabric. 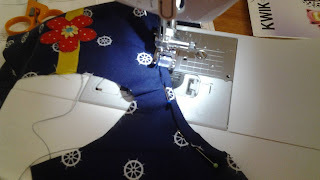 For this project I am using the Brother Innov-is 10A from Jaycotts.co.uk, see it here Brother Innov-is 10A This is one of Jaycotts best selling sewing machines, and no wonder as it is reliable, easy to use and has all the functions you need . It also comes in at a very reasonable price. 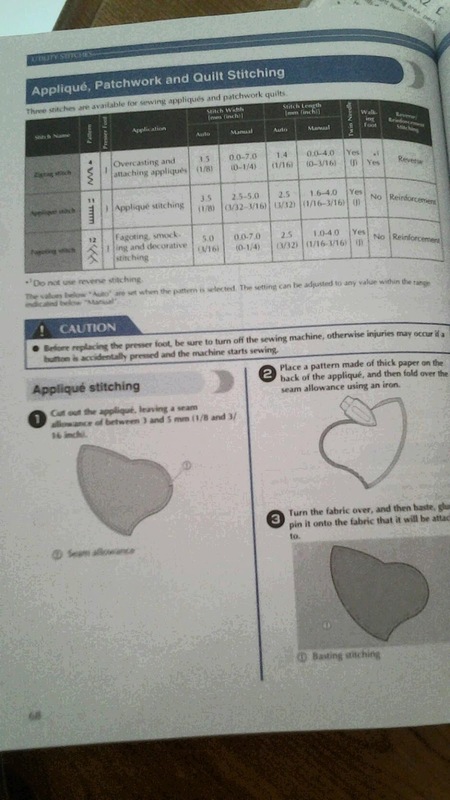 Whatever machine you are using refer to your manual and choose one of the stitches recommended for applique. For this machine the instructions are on page 68. 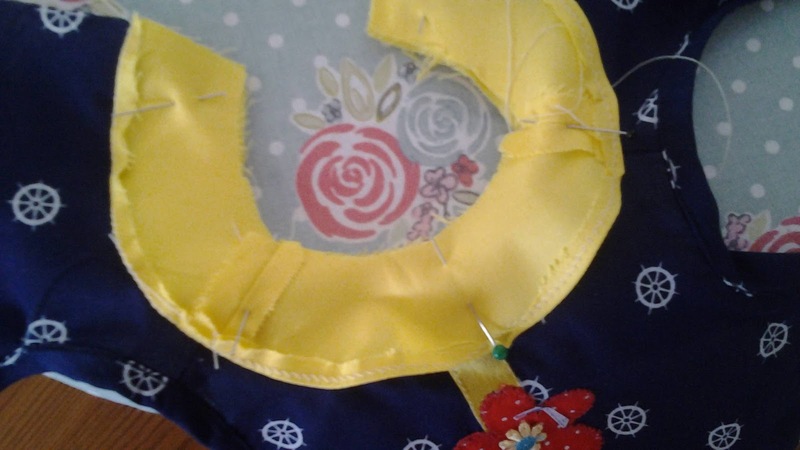 Test the stitch on a spare piece of fabric first and adjust the stitch length and width to get the best effect. I shortened both the stitch width and length. Then slowly and carefully stitch all the way around each flower shape. 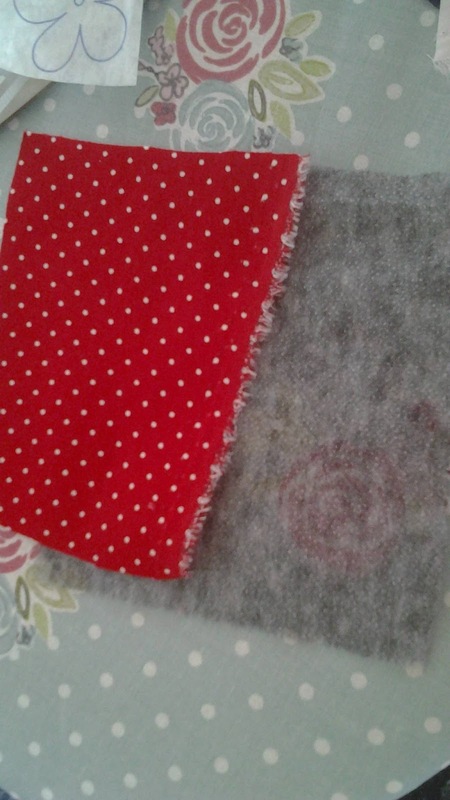 The interfacing together with the type of stich will stop the fabric from fraying. Go right round each piece, pivoting at the inside of each petal. 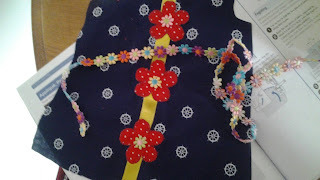 The instructions tell you to sew a small button to the centre of each flower, but as I already have some guipure lace trim I snipped off three small flowers and stitched them by hand to the centre of each applique. I chose different colours, you could make them all the same if you wanted to. Now that the front is decorated stitch the front to the backs at the shoulders right sides together and overedge or zigzag the seam. You will need bias binding to finish off the armholes. 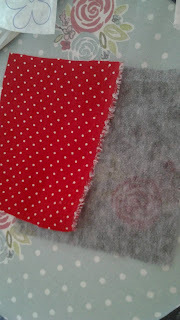 You can buy bias binding ready made but I always feel that the quality is inferior to hand made. So fold your fabric on the bias - that is, if you were to cut out a true square of fabric, the bias runs diagonally from corner to corner. 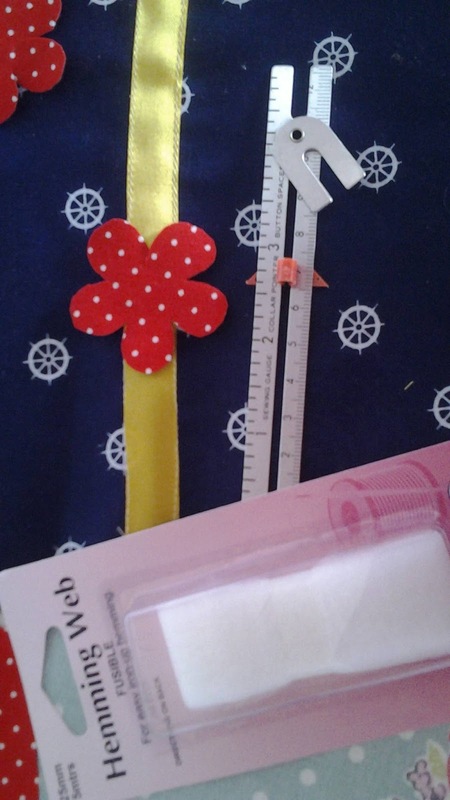 Find the bias of your fabric and cut out a strip about one inch wide. Put it face down on the ironing board and fold the long edges to the centre and press. 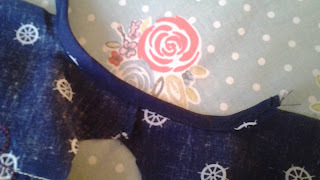 There you have it, hand made bias binding, it is so much simpler than going to the shop to buy some! Stretching the bias binding a little pin and stitch it along the crease line nearest to you all along the armhole. Press the seam towards the binding. Fold it in half and pin. Top stitch close to the edge of the binding catching all the layers. This is how the finished edge should look. You may if you prefer fold the entire binding to the inside and have none of it showing, it is entirely your choice. This is the top stitching being done. 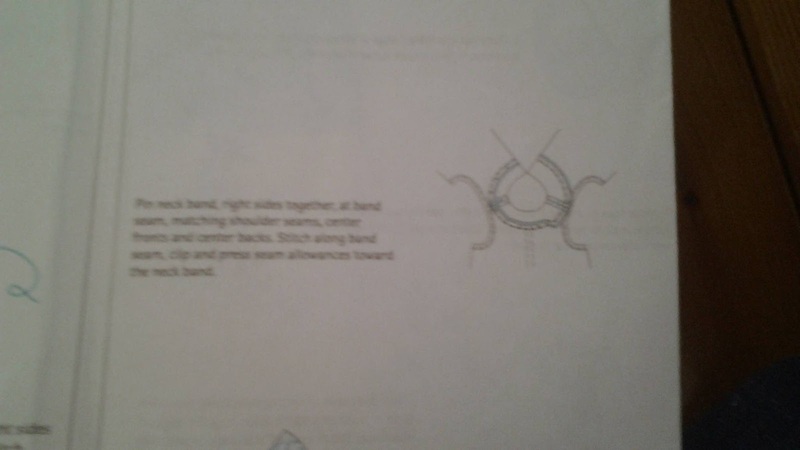 It will hold the binding in place. Now it comes to fitting the yoke and I am afraid that you will have to change your thread colour too. This takes seconds on this particular machine, the drop in bobbin is so easy to use and the automatic needle threader saves frustration over threading the needle by hand. You now need to attach the wider edge of the yoke to the top of the dress. Start pinning, keeping the edges together and matching the shoulder seams. It will seem like the two pieces will never fit together but do not worry, be patient , it will fit together I promise! 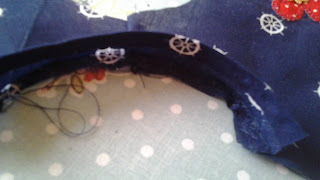 I would also tack the pieces together before machine stitching as it holds it in place better than pins. Take care not to get any tucks in the underside or the facing will look very amateurish. If you do make a mistake, take your seam ripper and unpick the stitches you are not happy with and do it again. 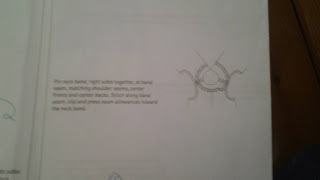 The diagram in the instruction leaflet gives very clear instructions. I always keep my instructions to hand so that I can refer to them often. Press the seam up,towards the yoke. 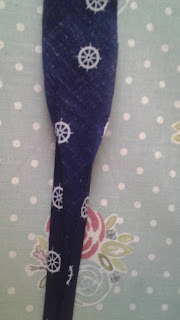 Take the facing and stitch a narrow hem along the widest edge.Press. Pin the yoke facing to the yoke right sides together and stitch together around the neckline. Clip the seam, and press it open. Top stitch close to the yoke edge catching in all layers. Stitch the side seams and the back seam up to the marking. 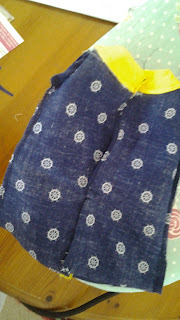 Turn in a very narrow hem on the back openings. Overedge stitch or zigzag stitch the seams. 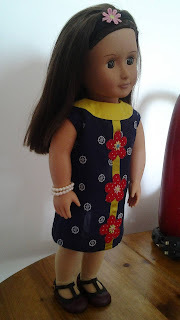 Turn up a narrow hem along the bottom of the dress and turn it up again forming a double hem. Press checking that it is even and top stitch in place. 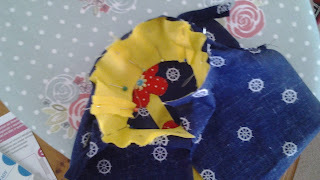 The instructions tell you to fasten the back with velcro, and that is fine but I love to use non sew poppers. These are the ones I used Non sew poppers from Jaycotts.co.uk. they come in all colours and sizes. 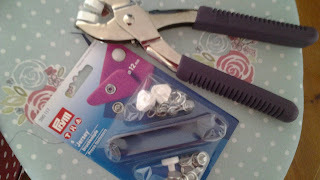 They do come with a tool to attach them with but I like to use these metal pliers Pliers for non sew poppers and rivets they are again from jaycotts.co.uk. The non sew poppers can be used for almost any project where you would otherwise use a button. They can also be used purely for decoration. They are great for closing bags too. 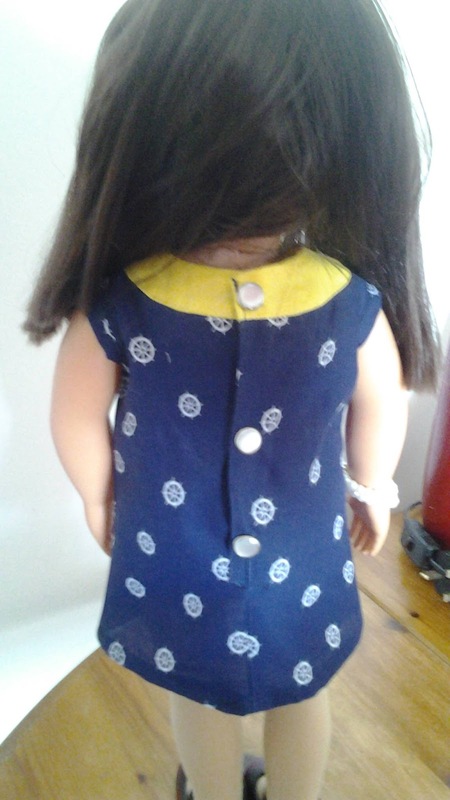 This is the back of the dress showing the poppers in place. 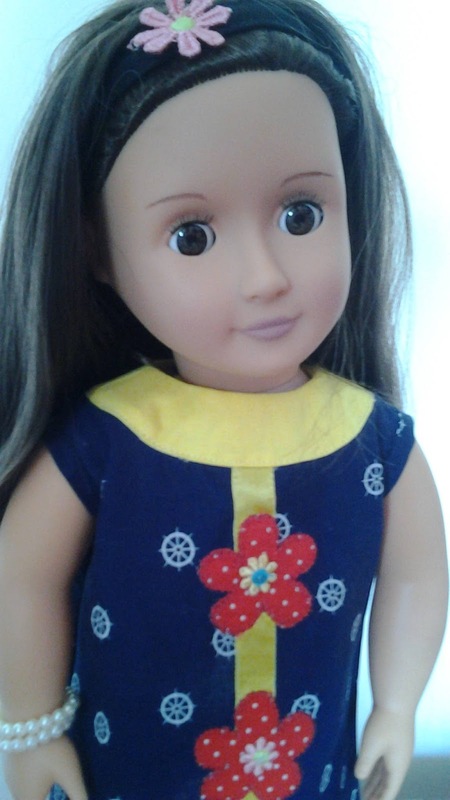 If this doll is for a very young child then do make sure that they are firmly attached or consider using the velcro instead. 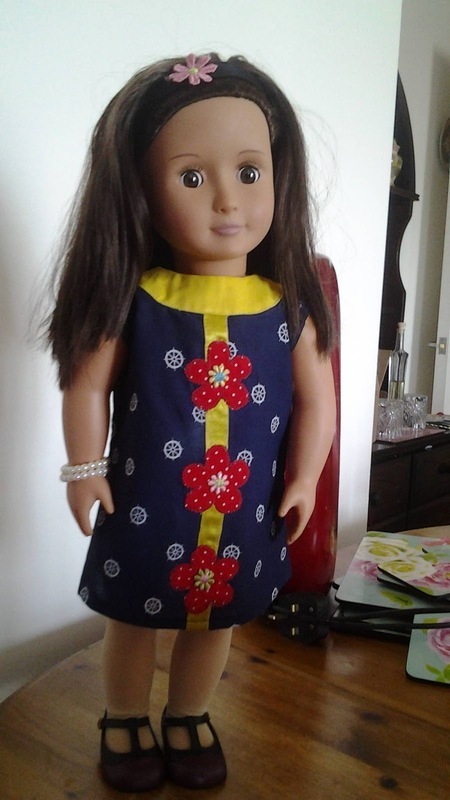 The dress looks amazing and would look fantastic made for your child too. 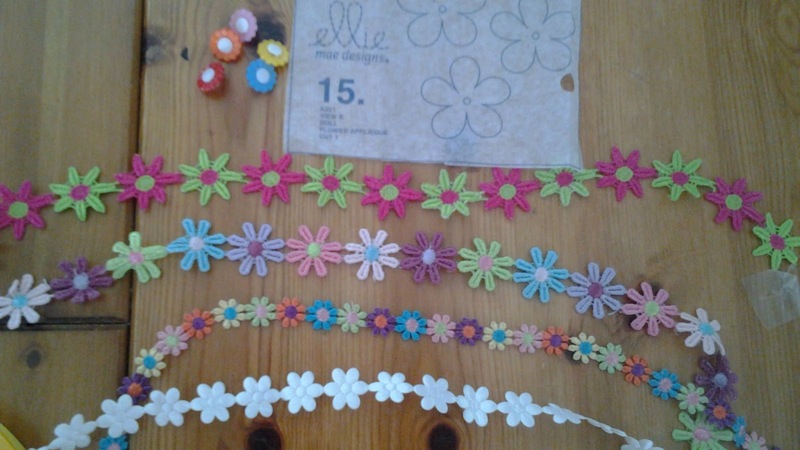 It is a very easy style to make and wear and would look great in lots of other colour combinations. This is a dress which is easy both for an adult and a young person to make so do have a go and personalise it to suit you.